Give this sofa cane some thought. 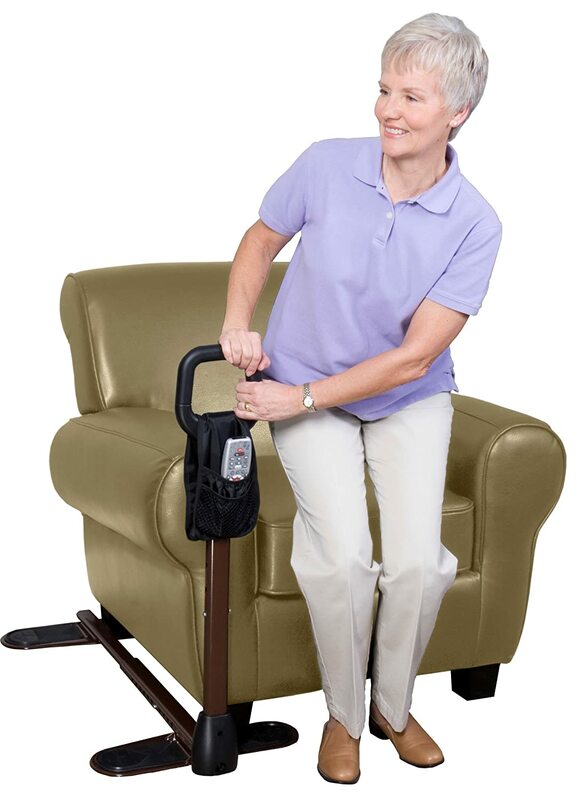 I bought one when BBB had her hip replacement surgery to help her get up from her recliner. I also used it last year when I had surgery and needed help getting in and out of bed that first week. It was a life saver for several months this year after I fractured my vertebrae and dislocated my pelvis. The nice thing is it is portable and can be moved to where ever needed. Sounds good to me. I am all about low tech. Good ideas here. We have a friend who simply uses blocks. But I like that sofa cane. I don't seem to be retaining much at the moment. That's an idea, too, and the portability is really nice. Have you considered getting shorter parents? Well, if I wait long enough, osteoporosis oughta do the trick. FYI George has actually met my parents, and can attest to their height. Here is a simple idea that will definitely work for you. Put a wooden block under the base legs of the sofa and get the ribbons of the color of your sofa and tie them on upper base. It will cover that wooden block and the sofa will also rise up. It will be more comfortable for older people. If it's a full seat things get trickier but I'd still go with foam - but with a foam slab wrapped in a twin fitted sheet that coordinates with the sofa) between the sleeping mechanism and the seat.